On the technical front, there really is nothing “innovative” about Noblecoin. It is just another Litecoin clone. Really. Then why am I writing a whole post about it? Because, sometimes, it appears, a coin needs more than just technical innovation to survive and thrive, and Noblecoin seems to be doing everything else absolutely right. The idea of what makes a cryptocurrency successful has been on my mind for a while now. On the surface of things, it seems reasonable to assume that if a cryptocurrency brings an incredible innovation to the table, it ought to be valued highly as it is an experiment that could diverge from Bitcoin and carry on with a life of its own in a niche field. Coins like Namecoin and Peercoin, for instance, are great innovations and rightly command a high valuation. I guess a lot of success around Dogecoin comes from its incredible community (also see the Reddit Dogecoin community, a polar opposite to the Bitcoin community in many ways). They helped the Jamaican Bobsled team participate in the Sochi Winter Olympics. They raised $30k for a children’s charity. In fact, it is becoming the go-to cryptocurrency community for charitable donations and projects. This aspect of Dogecoin’s success is what I like to think of as “social innovation” rather than technical innovation. It’s true that at its core, Dogecoin is just another Litecoin clone, but there’s so much more to a cryptocurrency than the hashing algorithm used. I’ve written my thoughts on Dogecoin’s success in more detail in my post Will Dogecoin Succeed? Today, I want to talk about another interesting cryptocurrency – Noblecoin. Again, Noblecoin is “just another Litecoin clone”. Everything around it though, is very well and professionally done. Even it’s announcement on Bitcointalk forums was one of the best I’ve seen. They had a very good launch with all the wallets ready for download. There’s also a nice marketplace operating already. Noblecoin is definitely not similar to Dogecoin in that it isn’t based on any meme. However, its foundation is a guiding principle of the Noble Movement, …”the act of using this new era of digital exchange for constructive purposes”. A lot of community effort around Noblecoin revolves around charity and giving. They recently raised $5000 for the Water Project, which is a pretty big achievement considering its small market cap and small community overall. 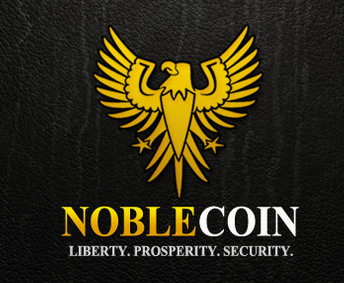 I like the overall vision of Noblecoin and it has a nice community, although very small. If they can maintain their ethos, in the medium to long term, they can be one of the standing altcoins, not because of any “technical innovation” but because of “social innovation”. Own any Noblecoin? Involved with the community? Would love to know your comments! I am currently holding nearly a million Noble coin as I believe in the coin. However, it appears that even though the development team are doing everything right, this is no guarantee of coin value (hence it is currently worth very little). I hope the coin does succeed, and not just because I have mined a lot of it, but because the more it is worth and the more people that are involved with the project the more constructive good can be done. That’s definitely true. It is very hard to predict the success of any coin (discounting all pumps and dumps here) because the whole thing is such a recent phenomenon and there’s no “recipe” for success. If I have to guess though, coins like Noblecoin would be around 2 years from now than the other hundred crap-coins. Innovation is a necessary but unfortunately not a sufficient condition for the long-term success of a cryptocurrency. I have been following since the start, and if I was going to put money on a coin succeeding, it would be Noble. Many coins have shown that without the community and social element the coin just wont succeed, despite having some great technical advancements. I don’t think there are any other coins that if you read through the hundreds of pages on bitcointalk you will only find a handful of negative comments, and all of those have been addressed in a constructive way by the dev. That’s very true, thanks for your comment. I was quite surprised by the very few number of negative comments on the announcement thread, which is usually filled with a lot of negativity especially at times when a new altcoin is being released every 6 hours. As Ive noticed with FRK is technical innovation is less important then community by far. Franko has donated to tons of charity, payed people for cancer research, helped fund a rocket to the moon, and tons of other good things, and yet the price is very low. Franko is a coin with support from alot of various merchants and is a member of 4 chambers of commerce where we hold workshops for local business’s. What makes something successful. I think you have made a successful coin when less then 5% of the coin mined per day hits the exchange. Because if miners are holding 95% it means its useful. Thanks Christopher. I haven’t really looked much into FRK but some others in the industry feel it’s a great coin and they’re probably right. I really agree with this article. Technical innovation used to be key, but I think that part of the paradigm has changed as so many new and not-so-technical people have come into the scene. I don’t see why we can’t have two different classes of coins that are strong in the market place. Each coin can address a different type of market. NOBLE can be a coin that focuses on the empowerment of humankind through philanthropic endeavors while at the same time providing useful services for the community. The way I see it, NOBLE is already doing that with it’s success in both developing a strong and suitable marketplace (which shows it’s more than a mere copy-paste clone; it has a road map for longevity and success) and it’s completion of its first Water Project Drive (which shows that its mission creed and ethos is anything but hot air). Thank you BTC Geek for discussing the paradigm adjustments in cryptocurrency regarding social innovation. And thank you for providing a well-informed and positive take on Noblecoin! I’m being selfish here but I’m loving the current “Under the Radar” aspect that is allowing me to accumulate a ton before the big boys come in and raise the Dif to high to mine. Now stay away so I can get Moar!